It only takes a few minutes to turn a box of conversation hearts into an adorable bunny. And you don't have to take apart the bunny to get to the candy! 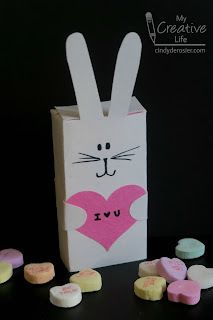 I made this Conversation Hearts Bunny as part of the Valentine's Edition of Craft Lightning. 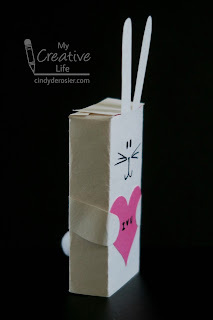 Visit the links each day this week to see lots of other ideas for quick Valentine's Day crafts. Fold the construction paper around the box of candy, creasing it along each edge of the box. Unfold the paper. 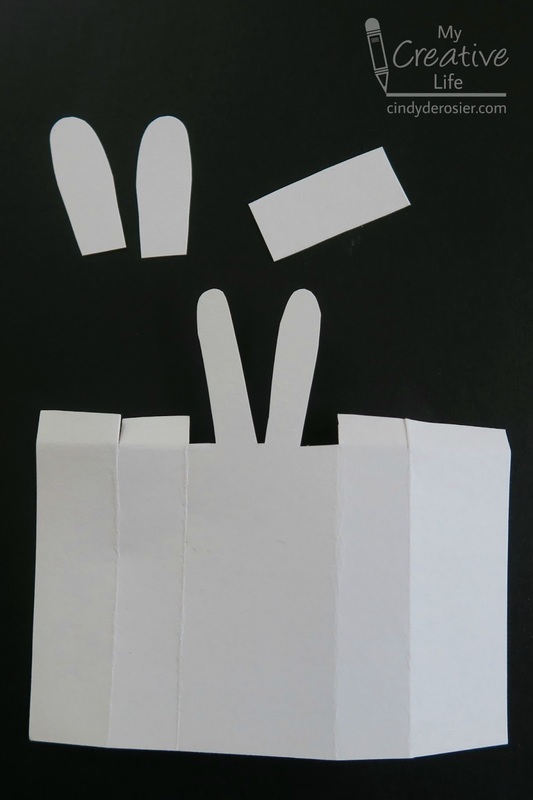 Leaving the center part intact, cut out rectangles on either side, as shown in the picture. Save the rectangles, as you'll use them later. Line the bottom of the box up with the bottom of the paper. 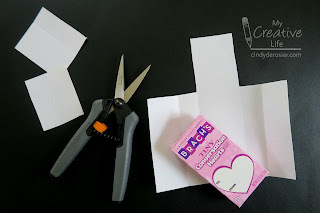 Make vertical snips along each fold line, down to the height of the box. These will be flaps to cover the top of the box. Cut the tall center portion of the construction paper into the shape of bunny ears. Use the rectangle scraps from before to make a matching pair of bunny arms (slightly shorter and thicker than the ears). 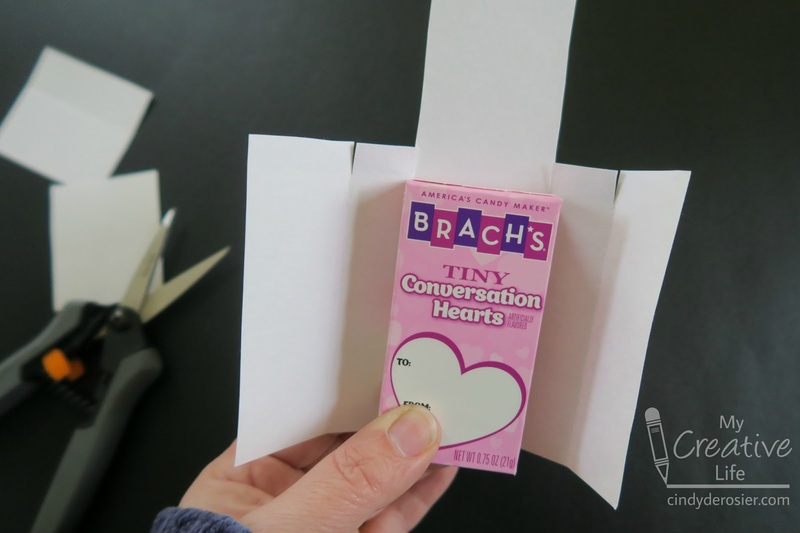 Cut a rectangle that is the same size as the box top. Put the box UPSIDE DOWN on the construction paper. 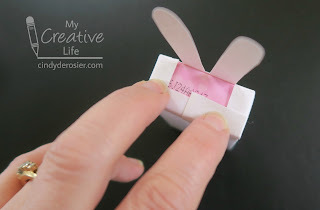 This lets you get at the candy without taking apart the bunny. Glue the construction paper in place. Fold down the tabs and glue. Add the small rectangle to the top to hide any gaps. 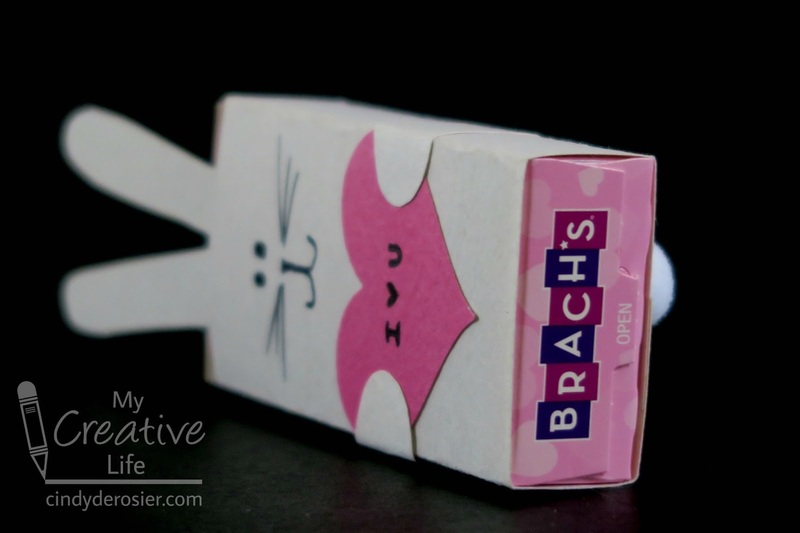 Use the Sharpie to add eyes, nose, mouth and whiskers to the bunny. 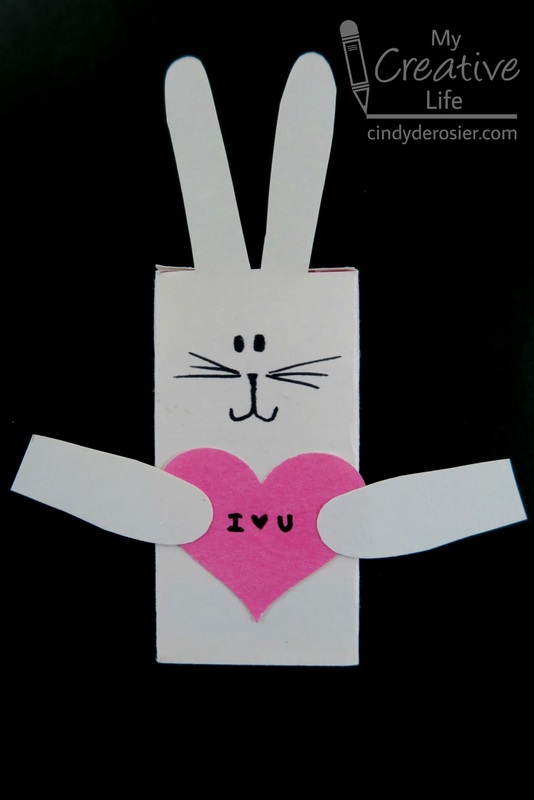 Write a short message on the sticker, then attach it to the bunny's tummy. Glue the ams to the heart, making sure they don't cover the message. 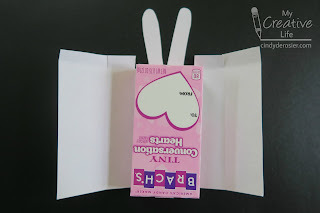 Wrap the arms around the box and glue them in place. Add a pom pom tail and it's done! How clever! I loveeeeeeeeeeee this! Adorable!!!!!!!!!!!!!!!!!!!! !